We are successfully meeting the varied needs of our patrons by offering a wide gamut of ISI Lab Set Up as per IS 14543:2016 as per their precise needs. Studies by leading consulting firms have shown that moving to Test center of excellence (CoE) model can help organizations save up to 30% of their currently incurred testing cost while reducing the Business and Technology failure risks by up to 40%. 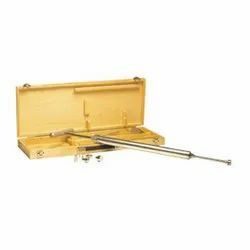 Soil testing laboratory : Soil testing lab has facility to conduct all the physical & engineering properties tests like M.A., S.A., Shrinkage , Atteberg limit, FDD/FMC light &heavy proctor, RD, Box shear, Triaxial, unconfined strength, vanes hear, Consolidation, Specific gravity, CBR, Permeability & Pin hole test. 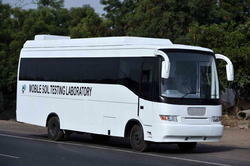 We are the leading service provider of Soil Testing Laboratory Set up.